Looking to book in accommodation now?! Please download the booking form above and book directly with the Novotel Twin Waters. The Accommodation Block is reserved for all AUSTSWIM Conference attendees and families. Qantas is delighted to be the exclusive airline partner for the AUSTSWIM 'Soak It Up' 19 Conference being held on the Sunshine Coast. Qantas is offering registered delegates and travel partner’s special discounted airfares which are easily booked online via the dedicated booking portal on your conference registration travel page. When booking, use the allocated code to access these airfares. Qantas is Australia’s largest domestic and international airline and is widely regarded as the world’s leading long distance airline. 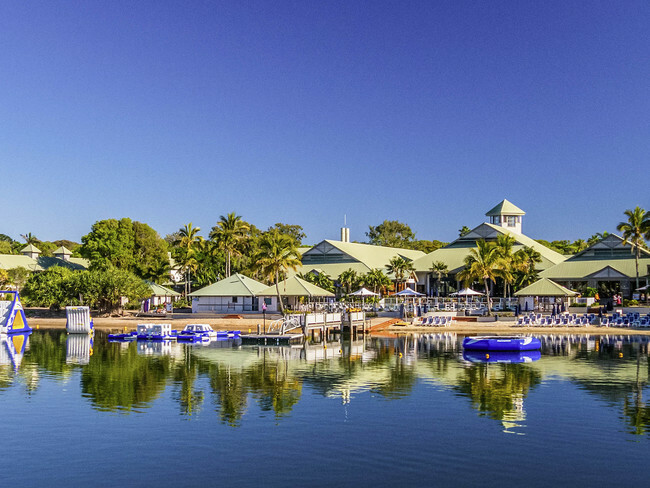 With a reputation for excellence in safety, operational reliability, and world class customer service; Qantas offers a truly global network proposition for delegates travelling to the Sunshine Coast for the AUSTSWIM 'Soak It Up' 19 Conference. Please download the booking form and book directly with the Novotel Twin Waters.